The more you give Rollie, the more you get. 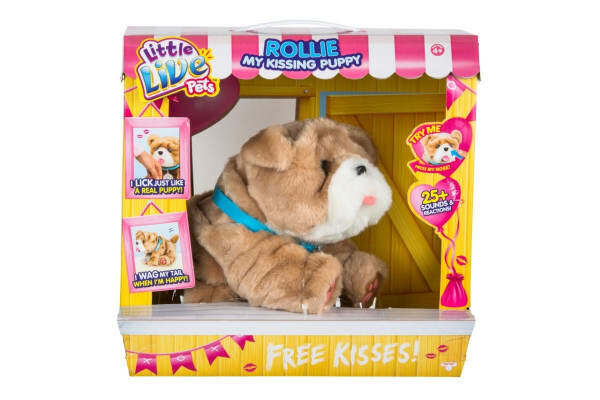 The Little Live Pets Rollie My Kissing Puppy is always happy to see you! Be ready for a kiss and a cuddle, because this little pup likes to show you how much he loves you! The Little Live Pets Rollie My Kissing Puppy moves and acts just like a real puppy, complete with a cute wagging tail. 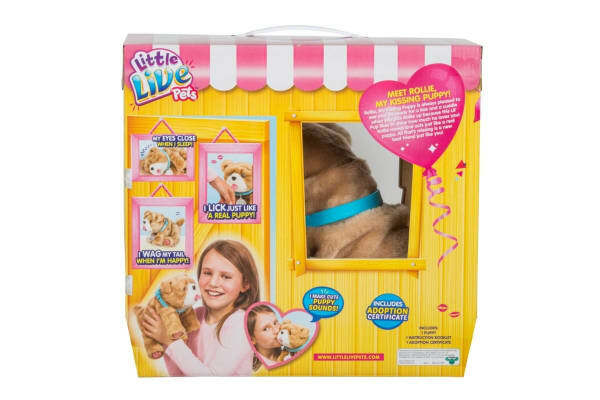 All that’s missing is a new best friend just like you! 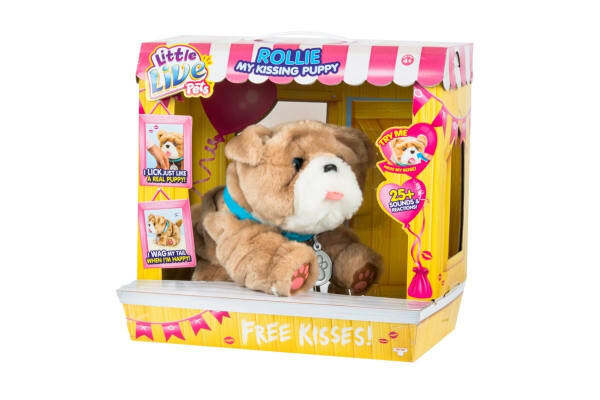 Each Kissing Puppy comes with an adoption certificate, so you can take him home and make him your very own!